Hyper-converged data protection: Though the products vary per vendor and market share expands, Paul Crocetti, Senior Site Editor for SearchDataBackup.com, got the chance to talk to one of the prominent leaders in the space about their offering: Cohesity. 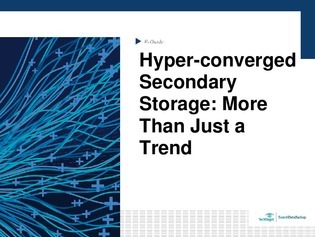 This e-book dissects Cohesity’s hyper-converged data protection solution, and explains why this new category of backup offerings is more than just a trend. Read on for the exclusive details, including an article illustrating how Cohesity’s scale-out system replaced legacy EMC at Piedmont HealthCare in North Carolina.